Mark has worked in accounting and finance for over 25 years. He specializes in guiding administrative operations for performance-driven companies in markets ranging from high-volume retail to industry-leading professional staffing, and safety-critical software development. He has been an auditor, an accounting manager and a project manager responsible for complex financial system implementations, including one that spanned 20 states and affected 385,000 employees. His expertise is in keeping internal operations on track to deliver the best of Performance. More important, he knows what it takes to draw and retain top talent that earns the respect of our clients. Like many Performance employees, Mark came to the company through a trusted referral – someone who knew the company was doing something exceptional. During his first meeting with Performance founder Tim Bigelow, Mark quickly recognized a unique and exciting opportunity to get in on the ground floor of a growing company that wanted to change an industry and set the standard for performance. That meeting was in 2001 and Mark has been successfully leading the company’s finance, business administration, IT, facilities and human resource operations ever since. 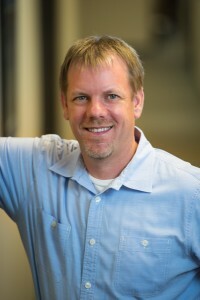 An alum of Metro State University in Denver, Colorado, Mark holds a Bachelor’s of Science degree in Accounting.